Ivo Miro Jović and Zoran Koprivica, former delegates in the House of Peoples of the Parliamentary Assembly of Bosnia and Herzegovina’s (BiH) and their drivers collected 74,527 KM in reimbursement for the use of their private vehicles over nearly two years. The reimbursements were based on erroneous calculations of the distance between the Parliament and their homes. According to the Decision on the Calculation of Salaries and Other Material Rights of the Legislators and Delegates of the BiH Parliamentary Assembly, costs of transport in private cars can be reimbursed (at 20 percent the price of one liter of gasoline per kilometer) if a MP’s place of residence is more than 50 kilometers from the Parliament and provided he is not also receiving a reimbursement for living away from home. The presidents of the parliamentary commissions and party caucuses are also allowed to hire drivers at state expense. 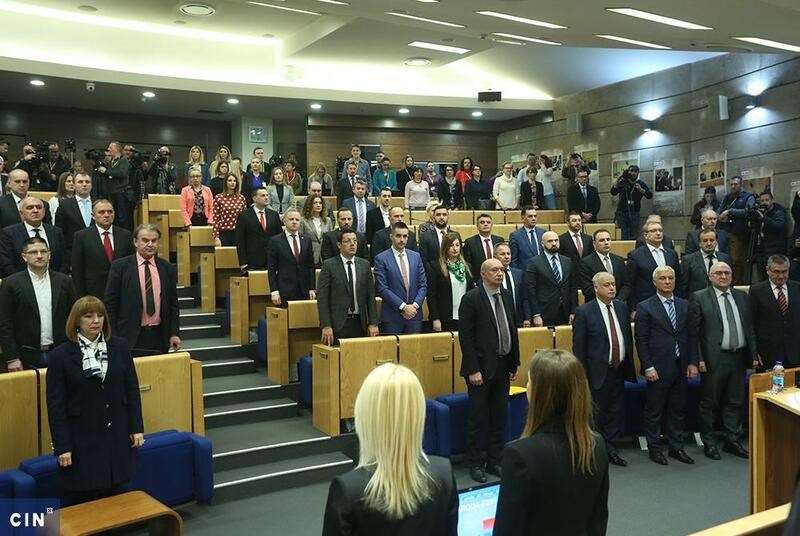 Reporters from the Center for Investigative Reporting in Sarajevo (CIN) found that Jović and Koprivica, in contradiction to what they told the Parliament, live closer than 50 kilometers from Parliament. The BiH Auditors recommended in its 2009 report to the BiH Parliamentary Assembly that it should review this type of compensation and to stop paying in cash. Another suggestion was that the state stopped contracting drivers. None of this has been done. Between January 2009 and October 2010, the BiH Parliament spent 304,721 KM on transport of eight legislators and delegates and on hiring of their drivers. MPs chose drivers themselves, usually party colleagues or next of kin. For that amount, Parliament could have purchased at least 10 new fully loaded Škoda Octavias. 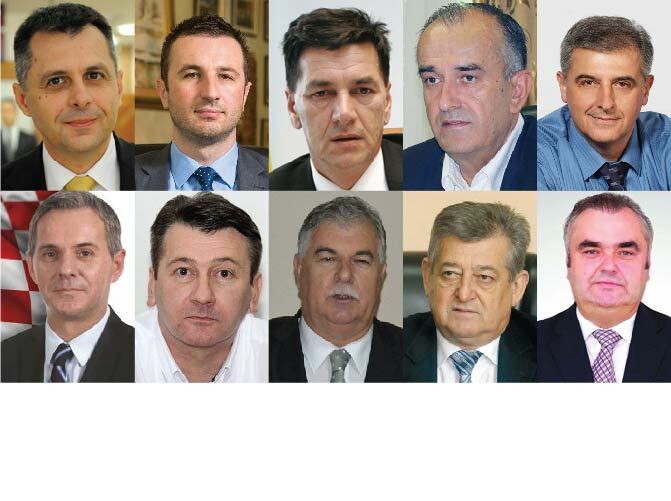 Apart from Jović and Koprivica, Drago Kalabić, Martin Raguž, Mirko Okolić, Momčilo Novaković, Velimir Jukić and Vinko Zorić have also enjoyed the perk of picking up and hiring drivers and benefited from using their private car during their previous term at the BiH Parliamentary Assembly. The Parliament’s financial department pays compensations for use of private vehicles based on information MPs provide. No one checks mileage, or whether delegates and legislators actually live at their official addresses. 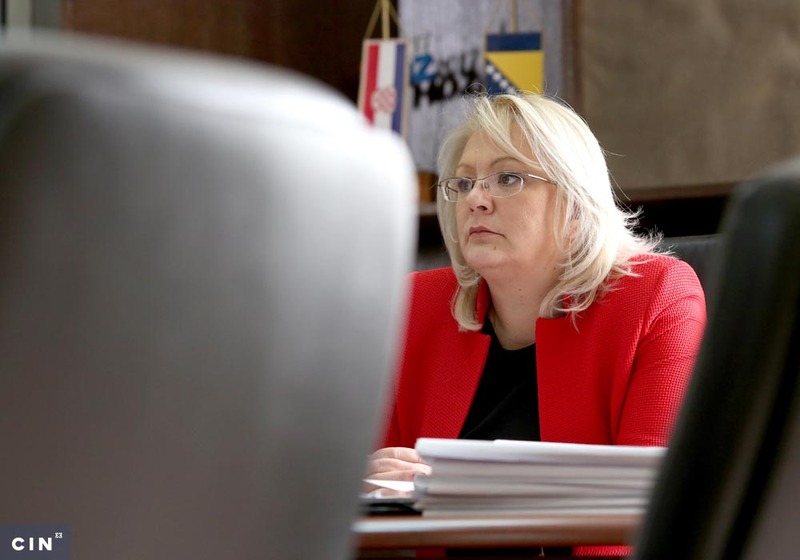 ‘They tell us themselves how many kilometers exactly there are and we don’t check it; and we are also not authorized to do that’ says Jadranka Korać, the head of the Finance and Accounting Department of the BiH Parliamentary Assembly. According to neighbors Jović lives with his family in Kiseljak yet he has declared Mostar his place of residence and collects transportation reimbursement based on the 139-kilometer distance from Sarajevo. As a president of the Legal and Constitutional Commission of the House of People, Jović is also entitled to a driver whom the Parliament contracts and pays. CIN reporters drove from the Parliament building to Jović’s house in Kiseljak and measured the distance at 32 kilometers. Ivo Miro Jović’s family house in Kiseljak. This member of Croatian Democratic Union (HDZ) told a CIN reporter that he commuted between Mostar and Kiseljak. He said that when in Mostar he lived with his aunt, while his driver Ivica Nujić lived in Kreševo, a town 11 kilometers from Kiseljak. Jović’s full income in 2009 was 85,454 KM. Apart from this, for his commuting to work and official trips with his private vehicle, this delegate collected 12,366 KM from the state last year. During that time, his driver received 13,900 KM in per diems and contract money. In the first 10 months of this year, Jović received 10,848 KM, and his driver 9,675 KM. The keys were in the lock on the outside of the entrance door to the Jovićs’ house, but no one opened the door, even after the reporters pressed a buzzer and went back and forth several times. A Mercedes was parked in a garage. Jović said that at the time he was on a business trip and his wife was in the house. The car in the garage was his, he said. Several of Jović’s neighbors said that the legislator lived in Kiseljak. 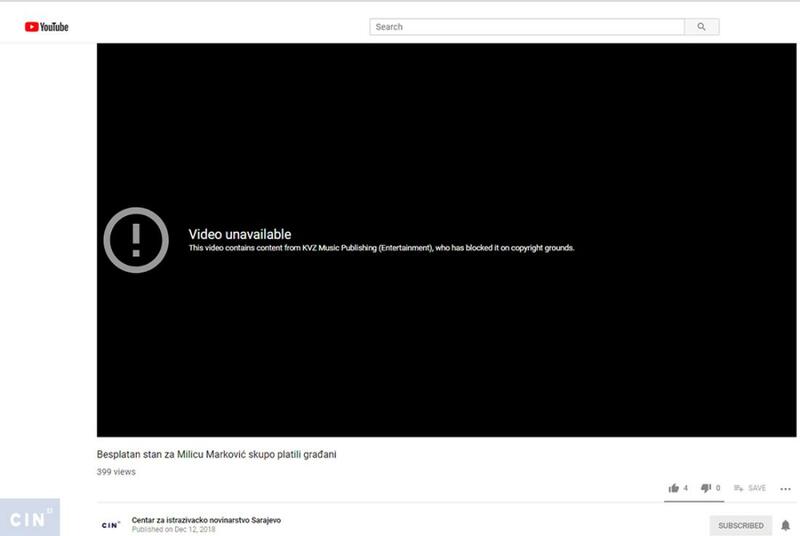 This was confirmed by his neighbors Janko Knežević and Vesna Šimić. The neighbors of Zoran Koprivica, a delegate of the Alliance of Independent Social Democrats (SNSD), helped CIN reporters resolve the dilemma about his place of residence. Koprivica’s residence application stated that he lived in the street of Grujo Novaković in Sokolac. There’s an apartment building in this street in the center of Sokolac in which the delegate lived according to four neighbors from his entrance and one from the next one. This was also corroborated by a Sokolac postman Ivan Bartula who said that he was delivering Koprivica’s mail to this address. However, Koprivica told CIN that he did not live at this address, but at his parents’ house in the village of Banda’s Odžak, nearby Sokolac, 52 kilometers from Sarajevo. An apartment building in Sokolac where Zoran Koprivica resides. CIN reporters made the trip between the Parliament and Koprivica’s apartment in Sokolac. The mileage meter showed 41 kilometer. They continued down the road to Banda’s Odžak and by the end of this village five more kilometers were added. Two natives said that Zoran Koprivica and his father did not live in Banda’s Odžak, but in Sokolac. On top of this, Koprivica answered CIN reporters from a landline number registered in the Telekom of Republika Srpska on his name in the street of Grujo Novaković. Koprivica’s income in 2009 amounted to 78,976 KM. Now a former MP and former president of the Joint Commission for Economic Reforms and Development collected during that year 4,204 KM for the use of private vehicle, while his former driver Igor Krsmanović earned 7,800 KM for 11 months of work in 2009. In the first 10 months of 2010, Koprivica collected 4,133 KM, and his new driver Aleksandar Šarenac collected 11,600 KM from December 2009 to October 2010. Koprivica said that Krsmanović was a member of the same party SNSD, but he was not connected to Šarenac either through the party or by blood. Other deputies and delegates hire party colleagues and their next of kin to drive them around. An SNSD member Stojan Crnadak drove Koprivica’s party colleague Drago Kalabić. Kalabić said that Crnadak’s background of professional driver with experience in international transport was decisive. During that time Kalabić received 21,009 KM, while his driver collected 15,750 KM. An almost identical sum for a shorter period was collected by Predrag Mitrović, the driver of former MP Momčilo Novaković. Though Novaković was in the Serb Democratic Party (SDS) in the beginning of this year and joined Dragan Čavić’s Democratic Party, he kept the driver until the end of his term. He said that he had no family connections with Mitrović. 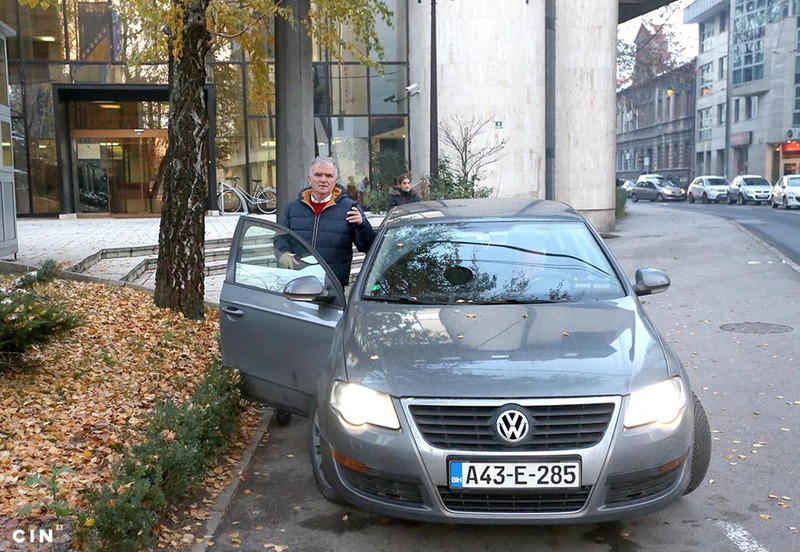 ‘My driver is from SDS’ explained Novaković who has collected 26,343 KM in transportation reimbursement for the use of his private vehicle. Jasmin Okolić was driving his uncle SDS member Mirko Okolić of the former House of Representatives of BiH Parliament. ‘I hired him considering that he is my late brother’s son without employment’ said Mirko Okolić explaining how members can hire anyone they want because there are no rules against nepotism. Okolić’s driver earned 23,950 KM between January 2009 and October 2010, while Okolić collected 22,058 KM during the same period. Martin Raguž didn’t care if his driver Stjepan Ilić was a member of his party HDZ 1990. They go a way back. This delegate said that Ilić drove him in 1999 and in 2000 when he was a minister for human rights and refugees in the BiH Council of Ministers. ‘I believe he’s a member of some party, but I don’t look at people in this way and this is not why I chose him’ said Raguž. Raguž has collected 12,802 KM for 22 months, while his driver earned 13,200 KM. Vinko Zorić has cost the state 14,375 KM, while his driver Ante Barić 12,300 KM. Velimir Jukić has collected 29,233 KM in the same period, and his driver Miljenko Sesar 22,325 KM. BiH Auditors recommended that the Parliament review such payment and hiring practices. ‘We have to look at this in a different way — is it reasonable, is it just, are the funds spent in a just and reasonable way? In this case it is neither reasonable nor just’ says Šego.